Bloomberg Sports and the National Football League have teamed up for the launch of the Decision Maker fantasy football application for PCs and Apple’s iPad. 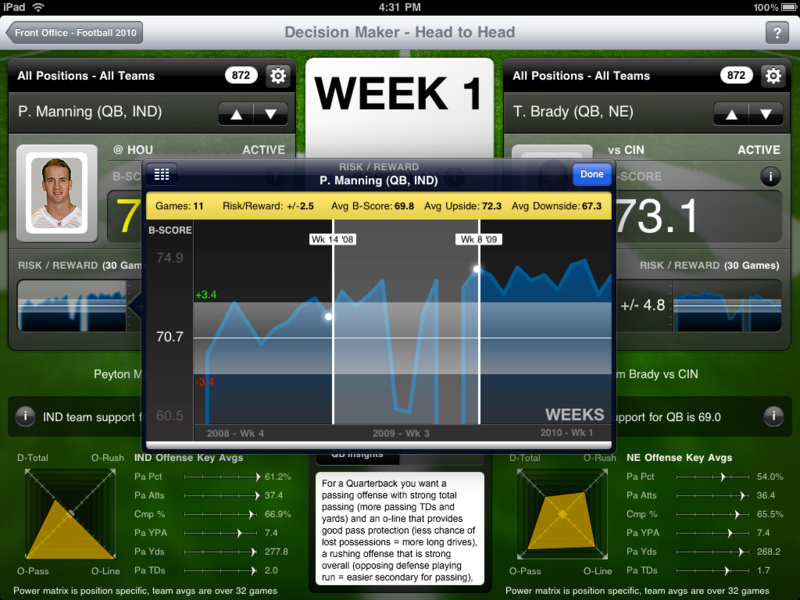 Bloomberg has partnered with Roundarch, which specializes in digital design and implementation, to create the iPad application that provides real-time statistical-based head-to-head analysis for every NFL player. With the Decision Maker application, Bloomberg Sports is trying to reach the 20 million-plus fantasy sports players, including women and men of all ages. “The partnerships with the NFL and Roundarch were the natural next step for Bloomberg Sports after our initial launch of our fantasy baseball product and as we expanded our sports offerings into football,” said Bill Squadron, head of Bloomberg Sports, New York. “With the new Bloomberg Sports Decision Maker app, we are trying to reach as many fantasy players as possible. Read the full article by Dan Butcher on Mobile Marketer.